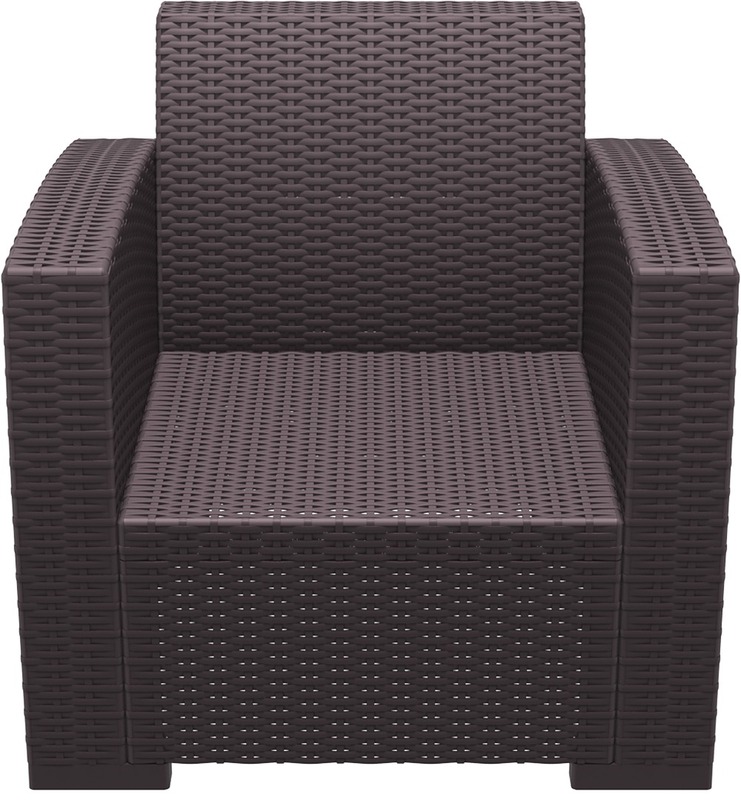 The Monaco lounge Armchair is an injection moulded resin chair, the non-metalic frame will never unravel, rust or decay, with rattan look seat and back. 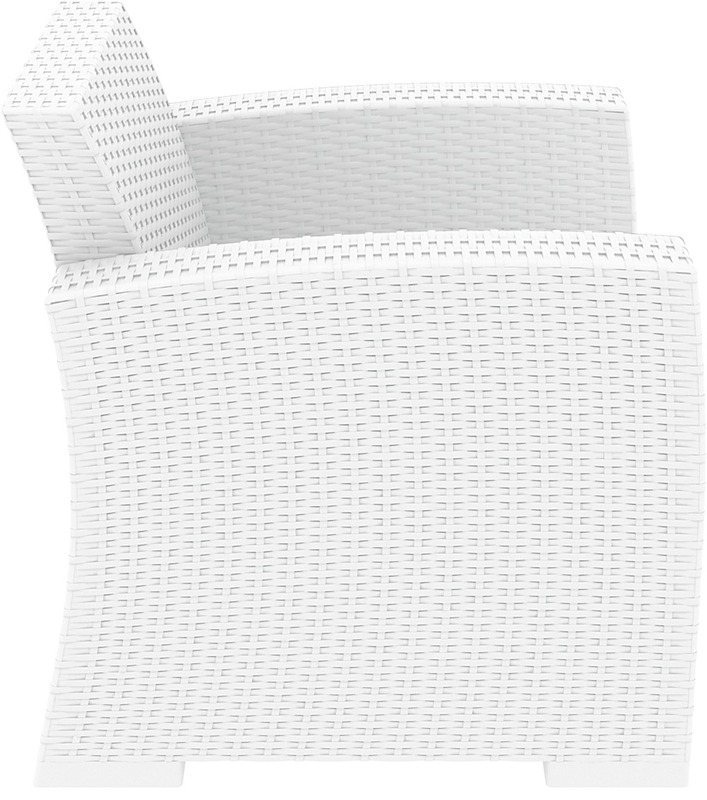 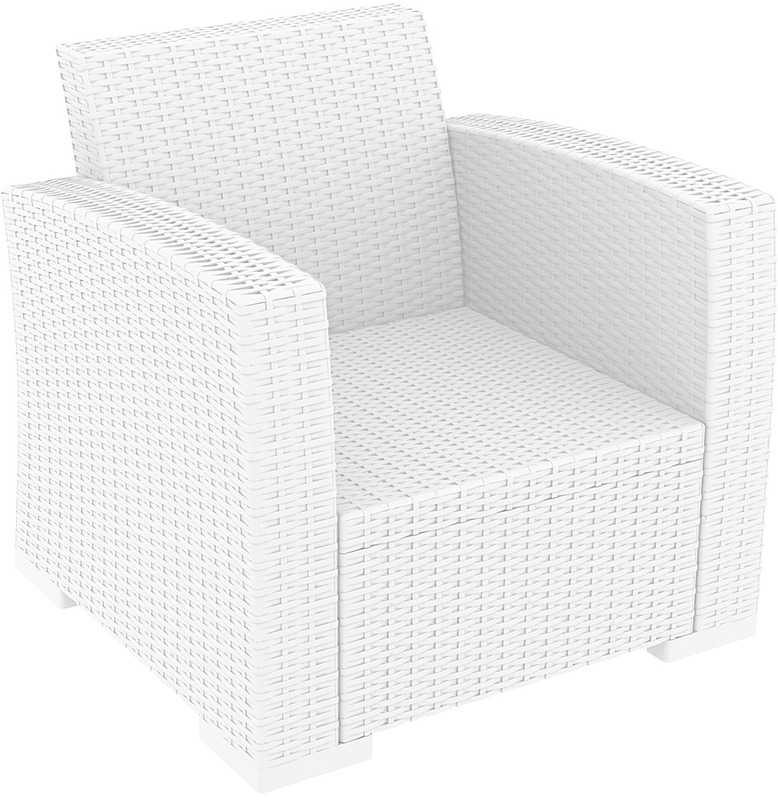 The Monaco Lounge Armchair is reinforced with glass fibre to give it impressive strength and boost the weight capacity. 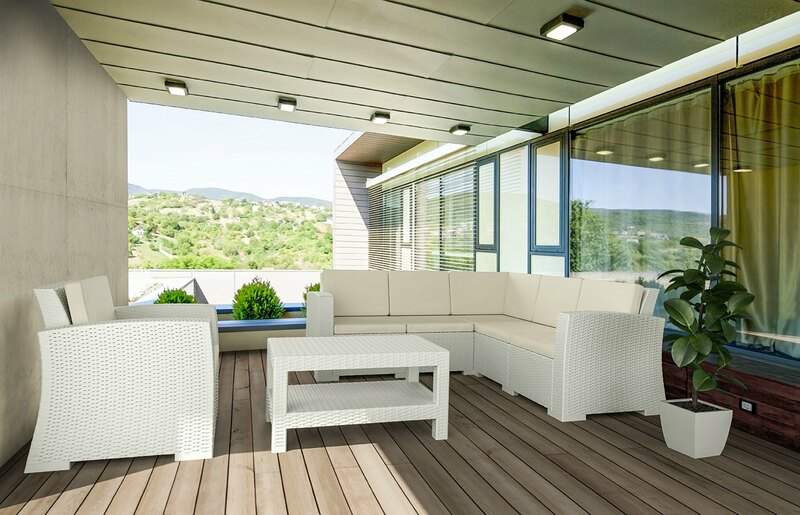 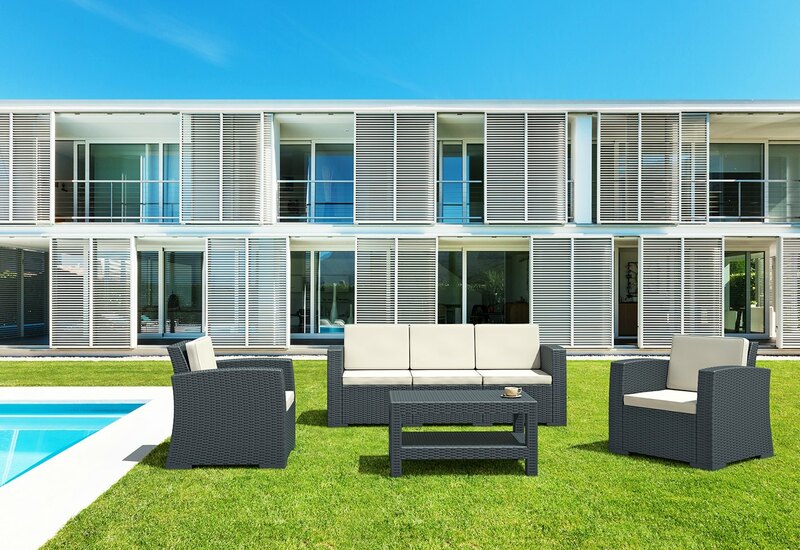 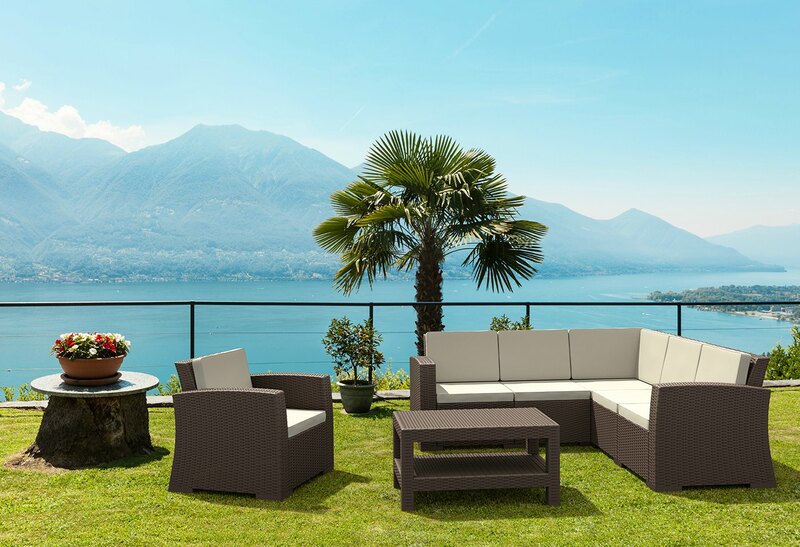 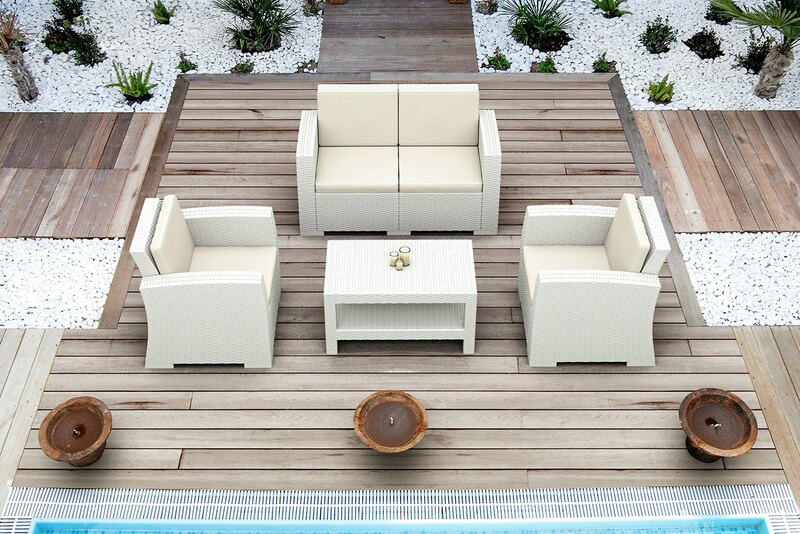 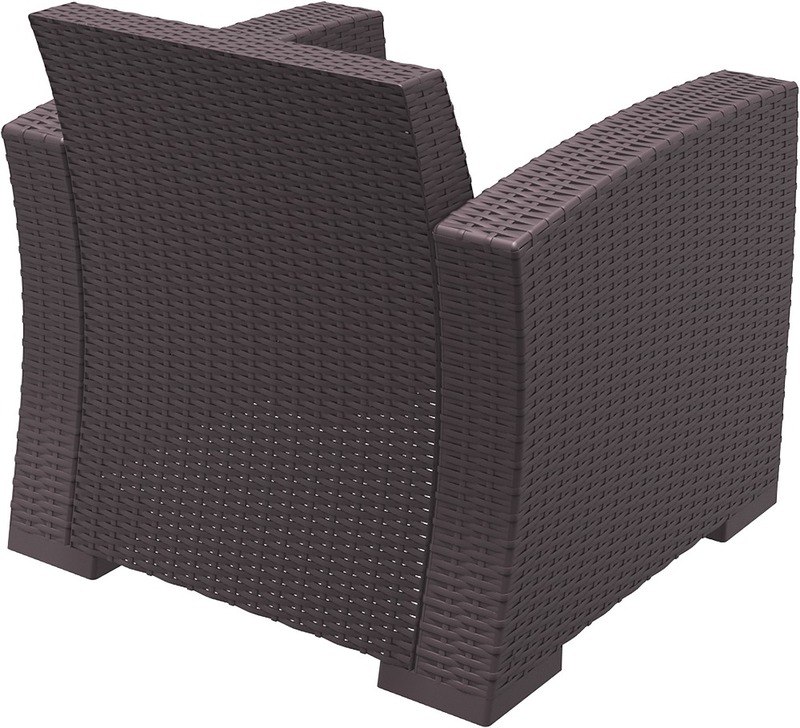 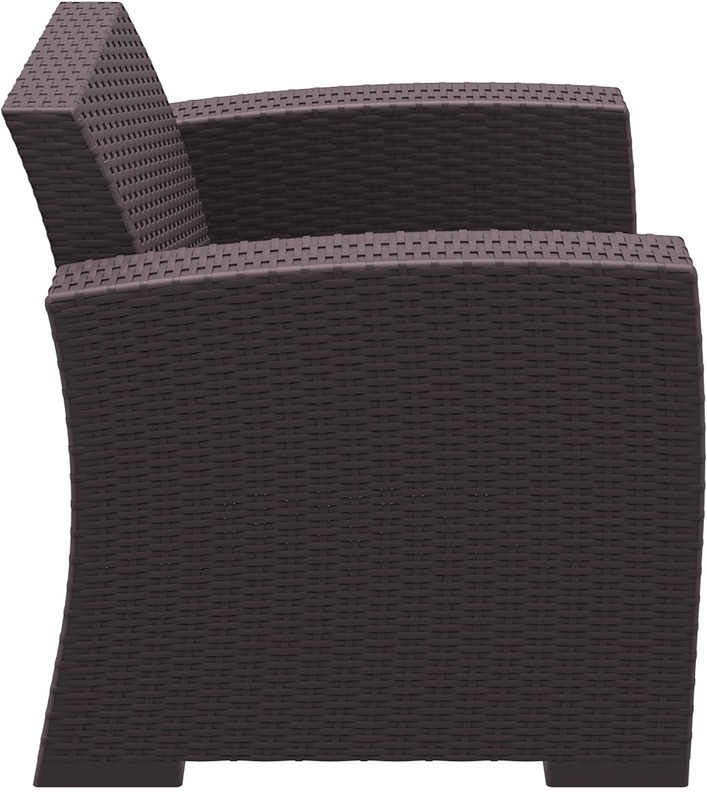 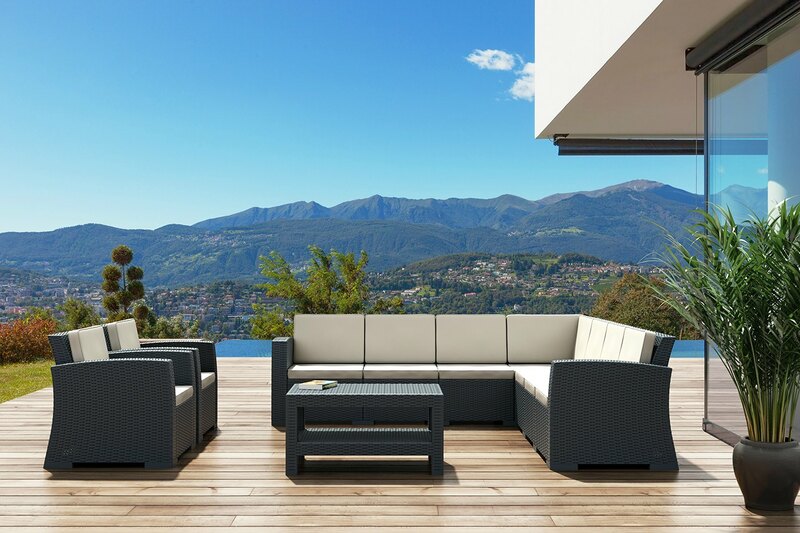 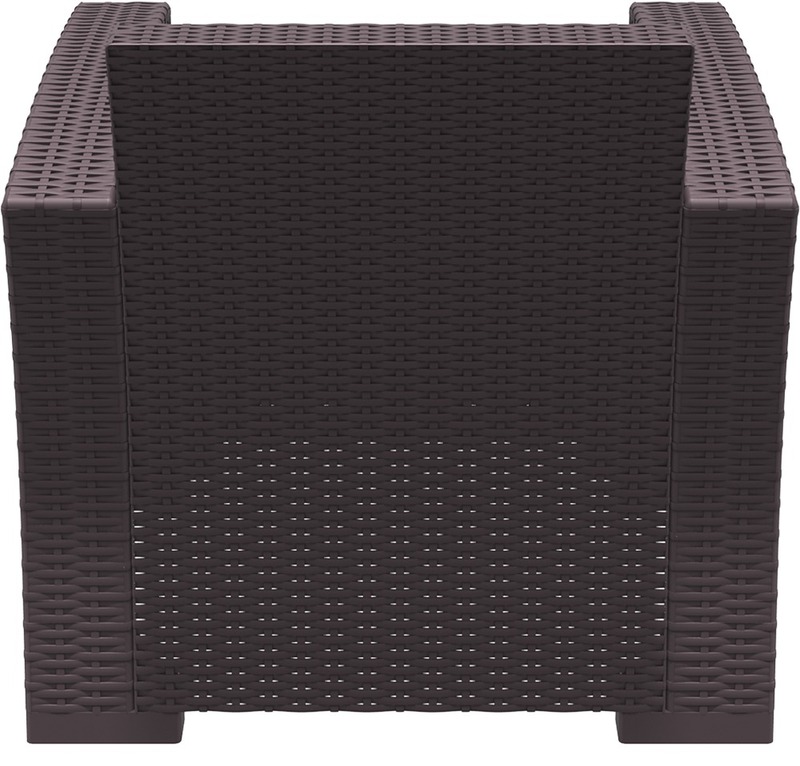 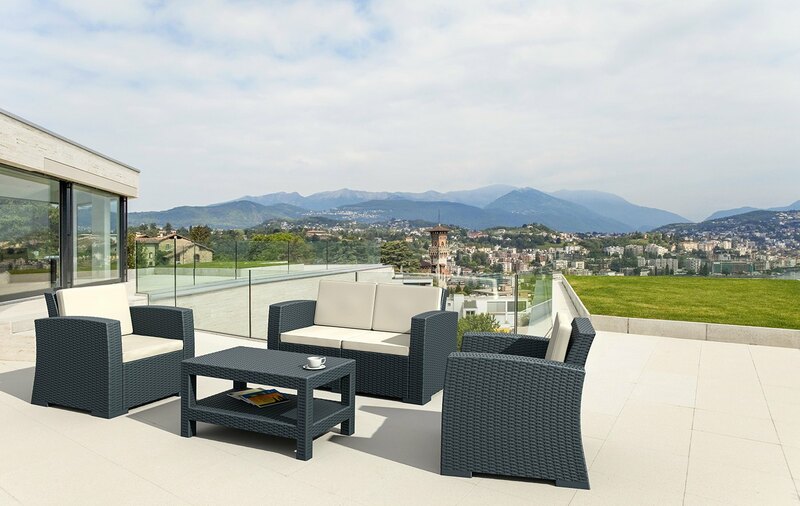 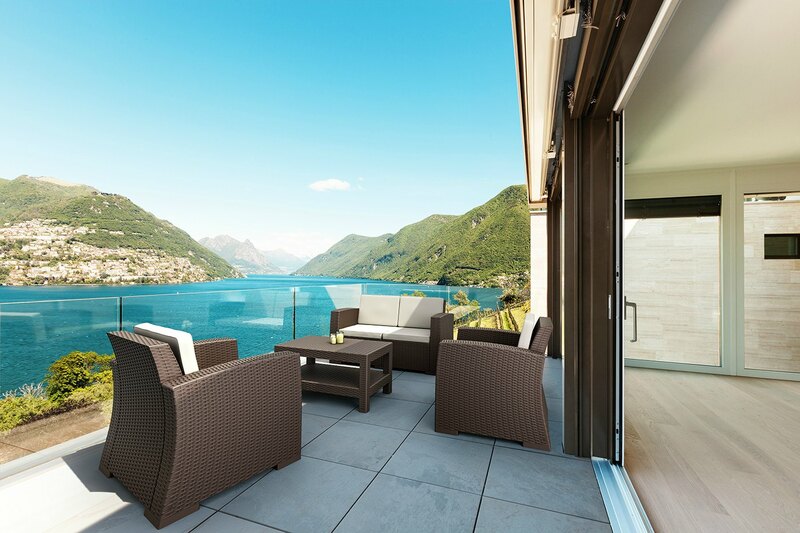 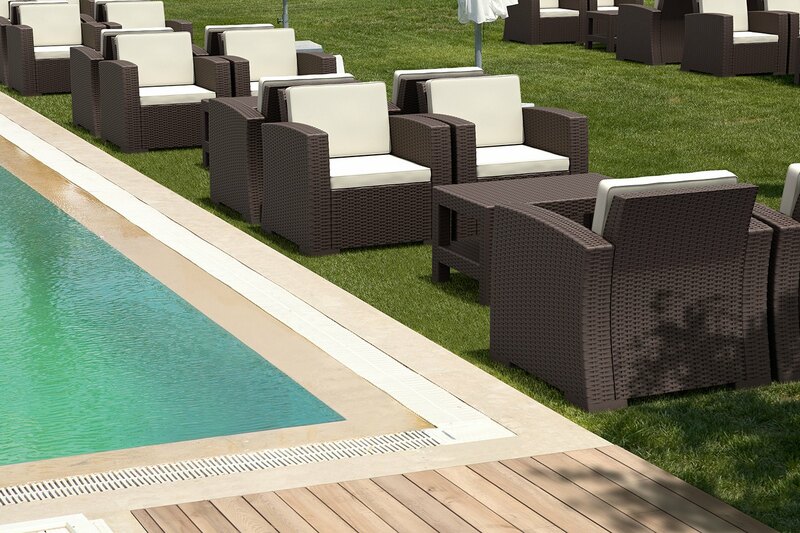 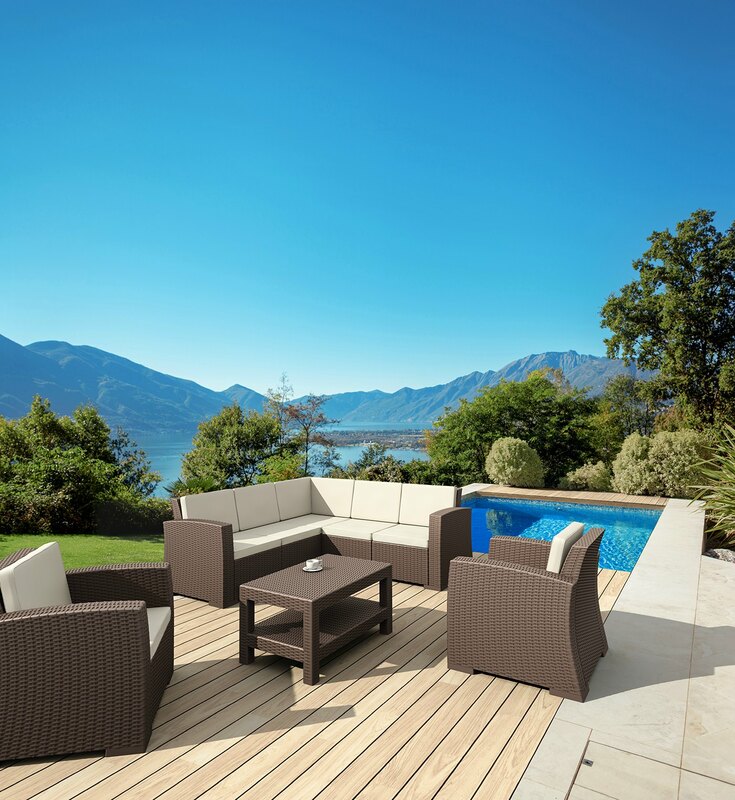 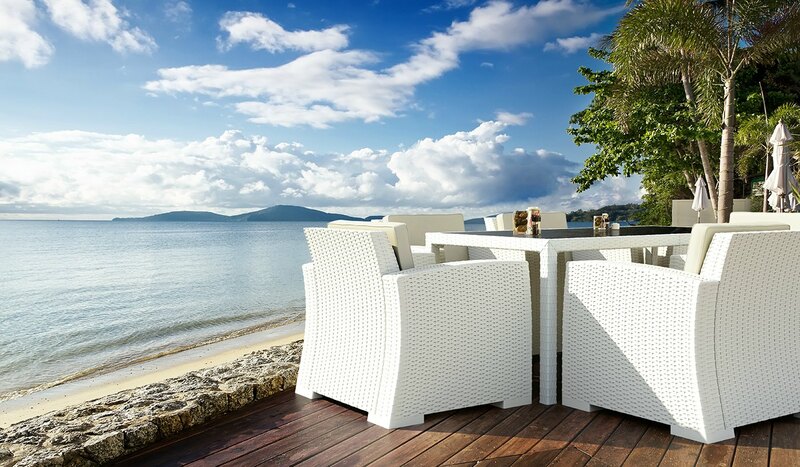 The Monaco Lounge Armchair features an easy assembly design that is suitable for indoor or outdoor use.The Monaco Lounge Armchair is UV stable and weather proof, it will not fade or go brittle in Australia’s harsh outdoor conditions. 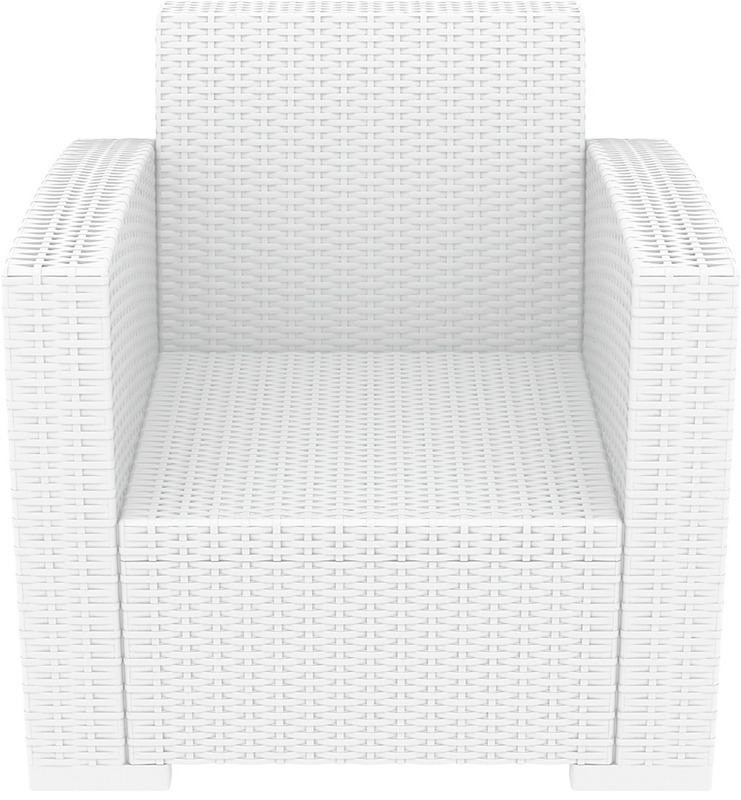 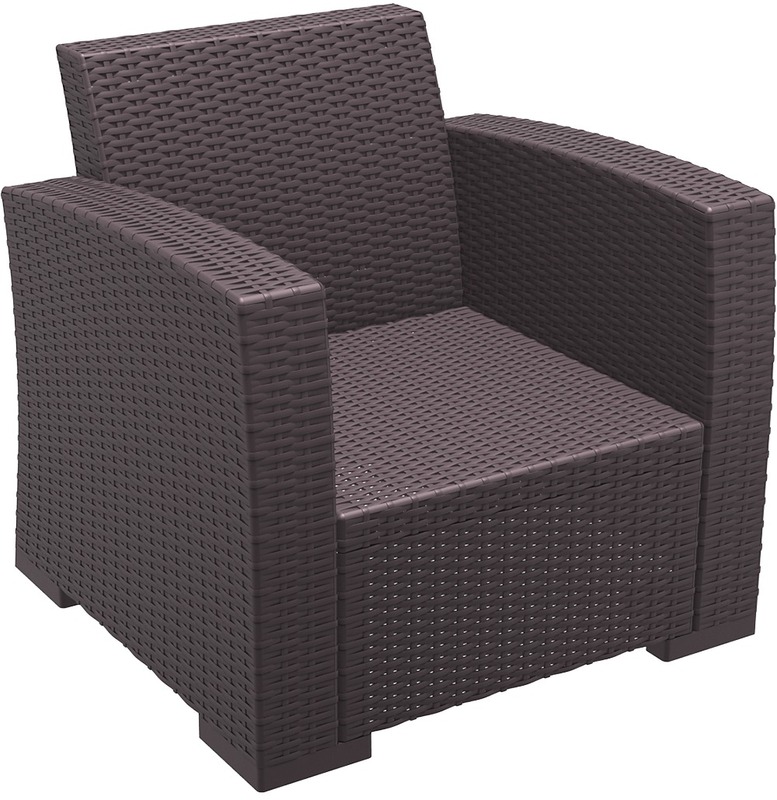 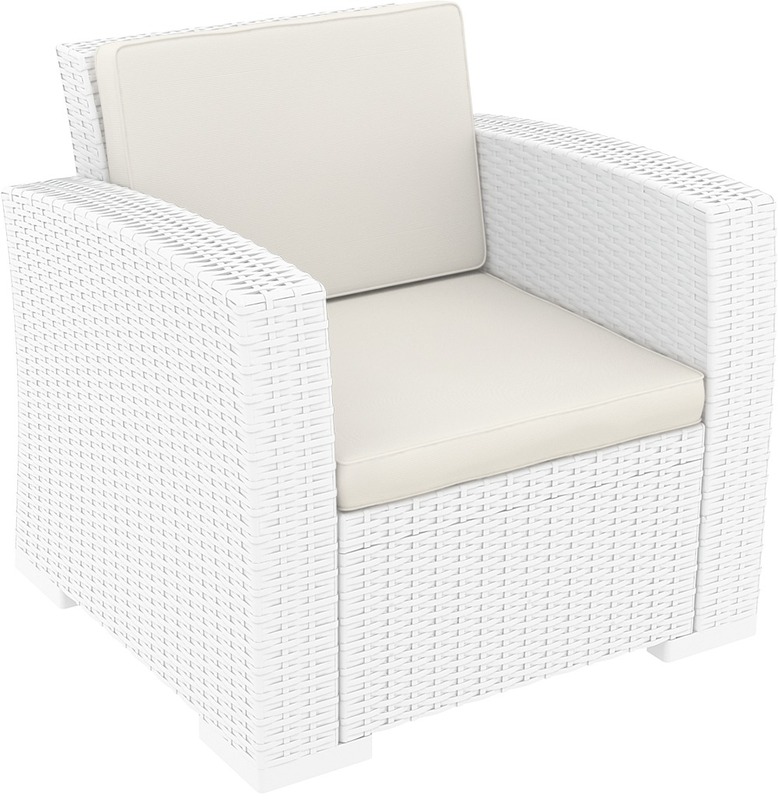 Strong yet lightweight, this Armchair will add class to any venue. 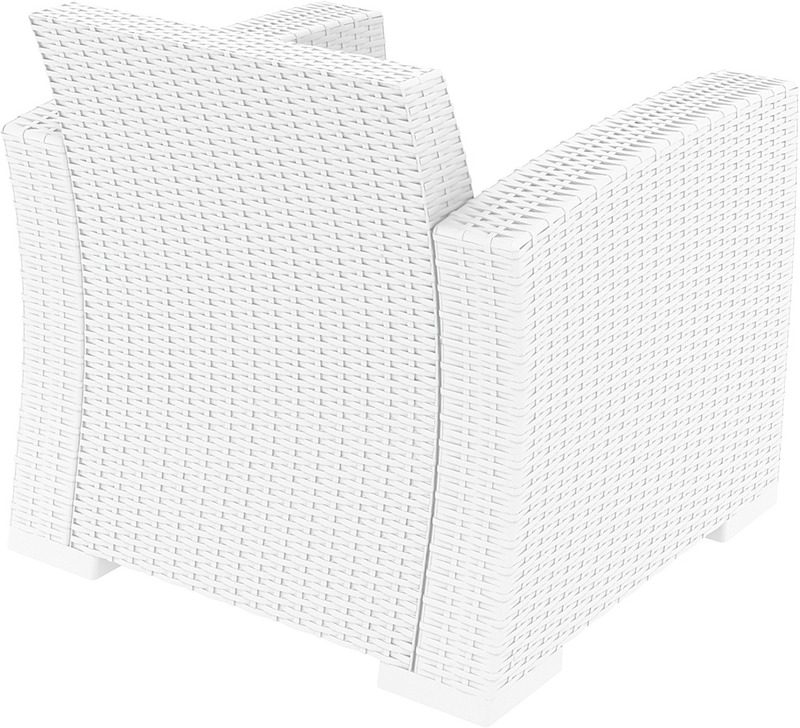 It’s sleek and comfortable profile is pleasant to the eye so this chair is as charming as it is functional. 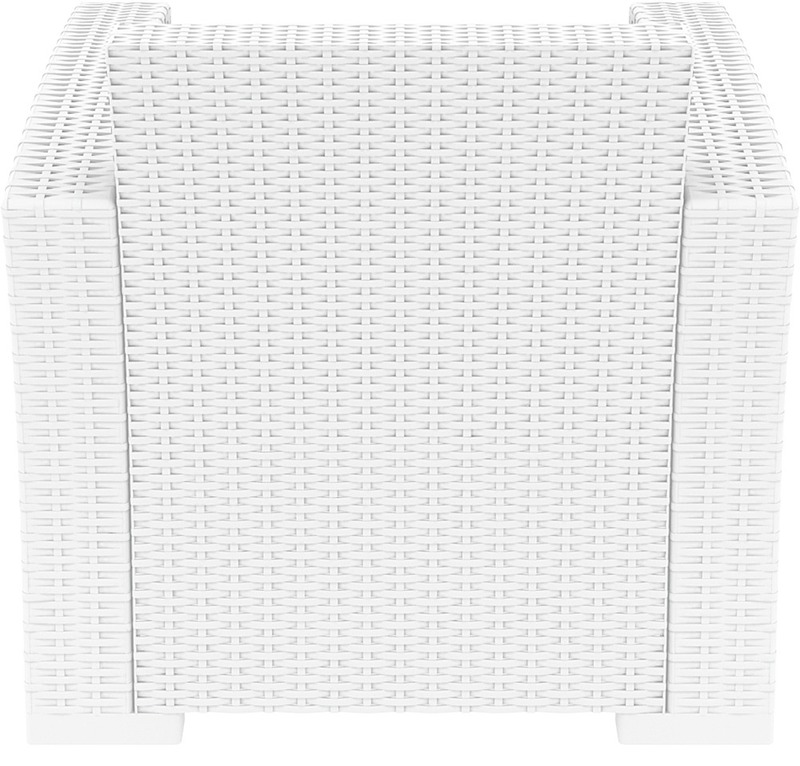 Very easy to clean, just hose it down. 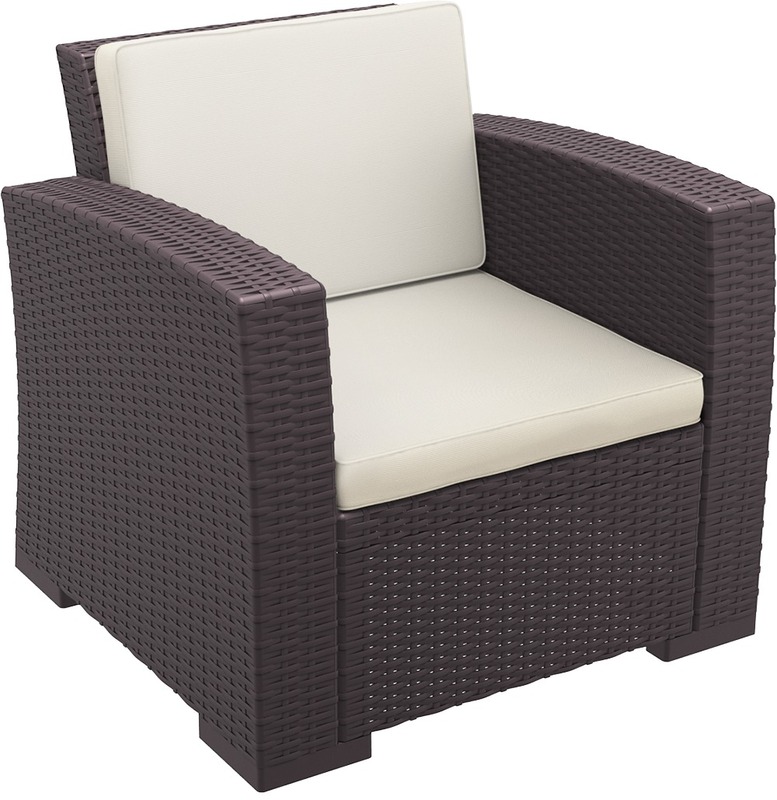 The Monaco Lounge Armchair comes with a Guaranteed 2 Year Warranty. 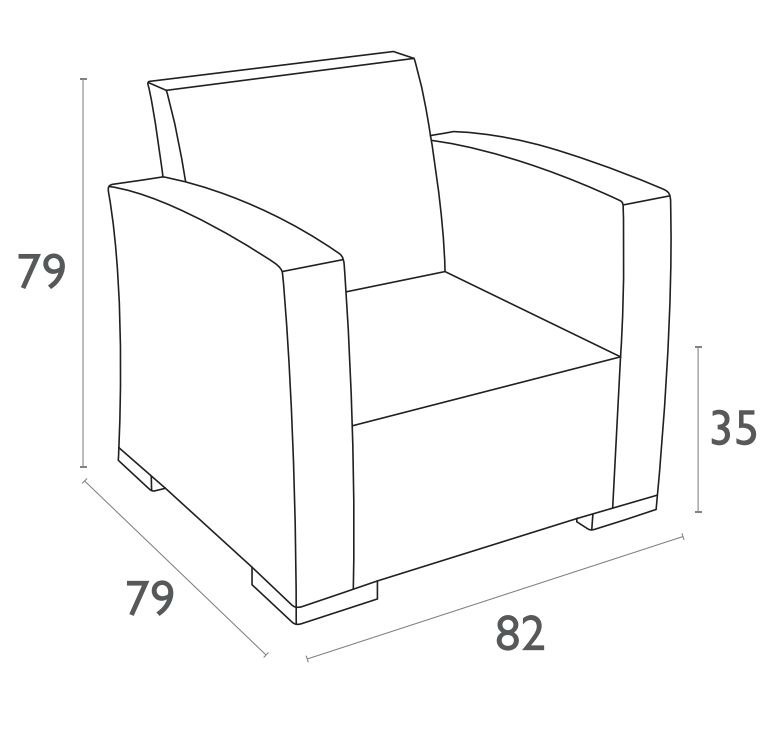 Note: The cushions are 3 Months Warranty.